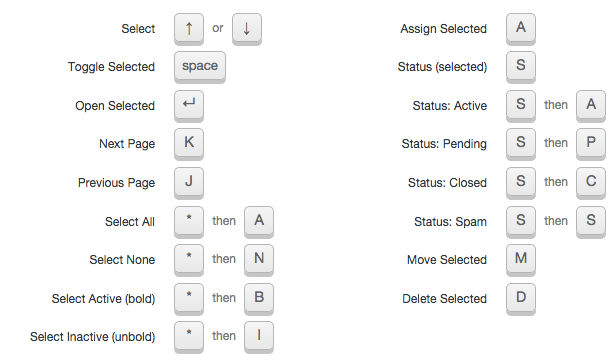 Keyboard shortcuts provide a quick and easy way to move around Help Scout. They are built into Help Scout so no need to enable anything on your end. 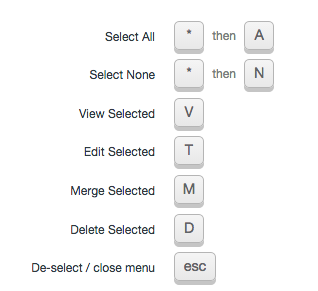 Keyboard shortcuts can be disabled under the Your Profile section of your account by toggling off the Keyboard Shortcuts option. Windows: Use the Control key in place of the Command key for these shortcuts. Below is a searchable text list of these shortcuts.